The more significant contribution of 2016, however, has been the commencement of major transactions which are likely to fructify in 2017. 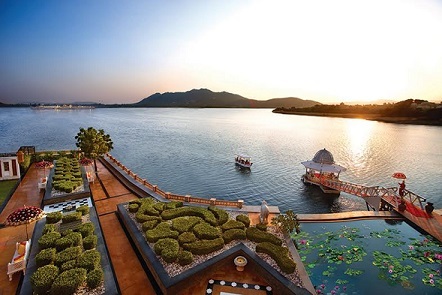 In addition to the Sarovar deal, around 12 to 15 more hotel asset transactions – either in the form of portfolios or single assets – are currently in the works. The last significant year for the hotel transaction market was 2015, in which the market witnessed over Rs 24,233 million worth of trade in existing and brownfield hotel assets - a 44.8% increase over the second-highest year of 2012, which had witnessed nearly Rs 16,730 million worth of trade. While 2016 lacked the big bang announcements of 2015, it witnessed five hotel-related asset transactions – some of which were undertaken to convert the underlying assets to alternate developments. Hotel buyers in the market today are strategic investors who firmly believe in and understand the hotel segment's economic cycle. As in all business cycles, the hotels economic cycle has started to trend upward. Performance metrics like ADR (Average Daily Rate) and Occupancy have resumed strong growth for most hotel markets in India. Countrywide hotel markets are performing at an all-time high with ADRs ranging between Rs 4,200–7,900 and Occupancy ranging between 54-75%. Hotel markets are clocking nearly 12% higher room revenue over 2015, which in itself witnessed nearly 11% higher room revenue growth over 2014. The author, Mandeep Lamba is Managing Director – Hotels, JLL India.